Although she bought a ticket for the bird, he was not allowed on due to health and safety issues. A woman who tried to take her peacock on a US flight was told at the airport she couldn’t travel with her emotional support bird on health and safety grounds. 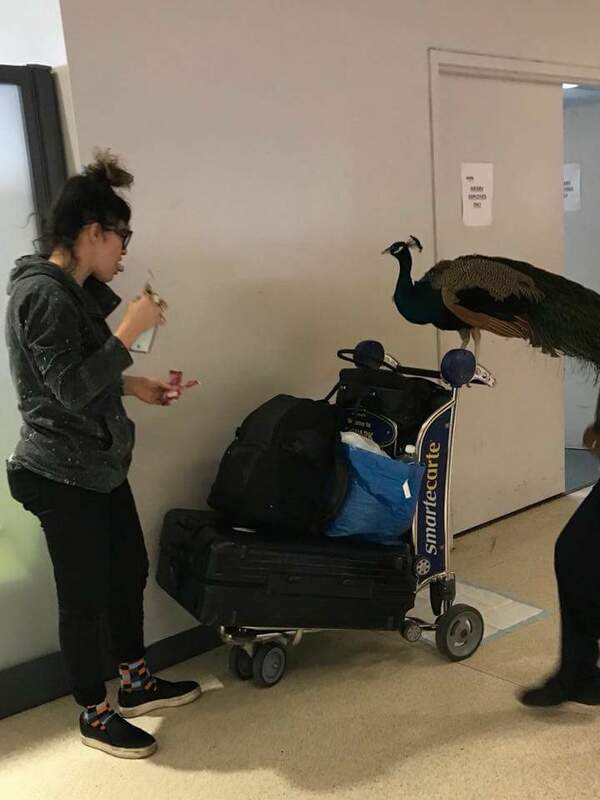 Performance artist Ventiko wanted to take Dexter the peacock on the six hour United Airlines flight from New Jersey’s Newark Liberty International Airport to Los Angeles. She had bought an extra ticket for the peacock so it would have its own seat, but was turned away at the airport. Passenger Sherri Ross had just flown into Newark and managed to film the peacock travelling through the terminal on someone’s arm. A spokeswoman for United said the peacock didn’t meet health and safety guidelines, partly because of its size and weight. Peacocks can weigh up to 6kg and males can grow to just over two metres long. 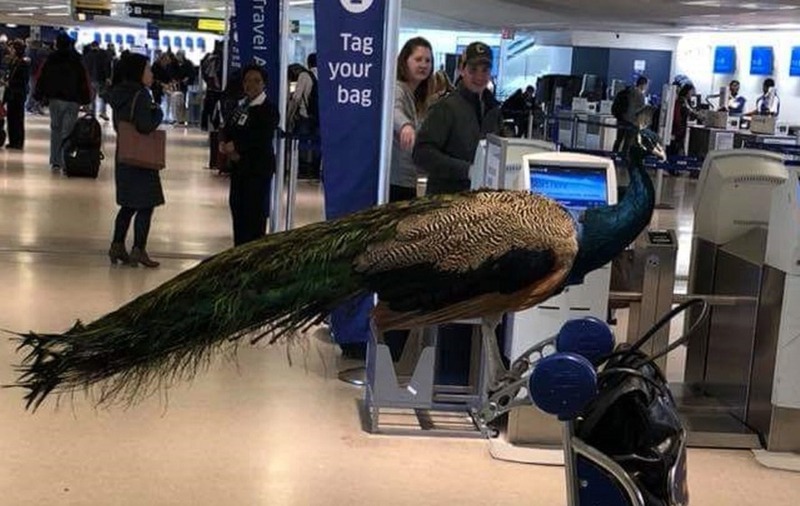 According to an Instagram account run in the peacock’s name, the bird and its owner spent six hours trying to board the flight, and eventually made alternative arrangements. The caption on a photo of Dexter perched on a trolley next to a luggage carousel said: “tomorrow my human friends are going to drive cross country”. United said problems with the animal’s journey had been explained to the passenger three times “before they arrived at the airport”. His owner lives in Bushwick, New York, and photos on his Instagram account show the peacock being walked on a lead and taking part in photo shoots. According to the United Airlines website, emotional support and psychiatric assist animals are allowed into the cabin on their flights with “qualified individuals with a disability”. It says that “certain documentation requirements” must be met and a minimum of 48 hours’ notice is given.